The widely-separated Azores, 972 miles (1564 km) directly west of Lisbon, Portugal, includes nine islands (all volcanic in origin). Colonized by the Portuguese in the mid-15th century, their strategic position near the middle of the Atlantic Ocean is their most valuable asset. Today the Azores are an important mid-ocean refueling and pit-stop for commercial airlines, cruise ships, international shipping, and private yachts. Famous for deep sea fishing, local cheeses, red and white wine production, and many varieties of tropical fruit - the islands are becoming a increasingly popular tourist destination. 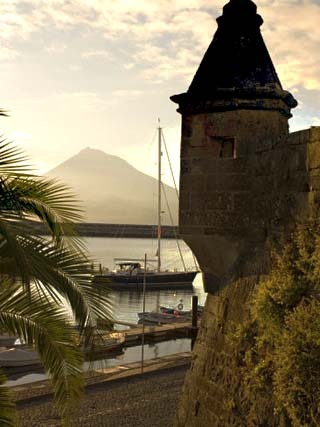 Note: A more detailed description of the Azores history will be posted soon.